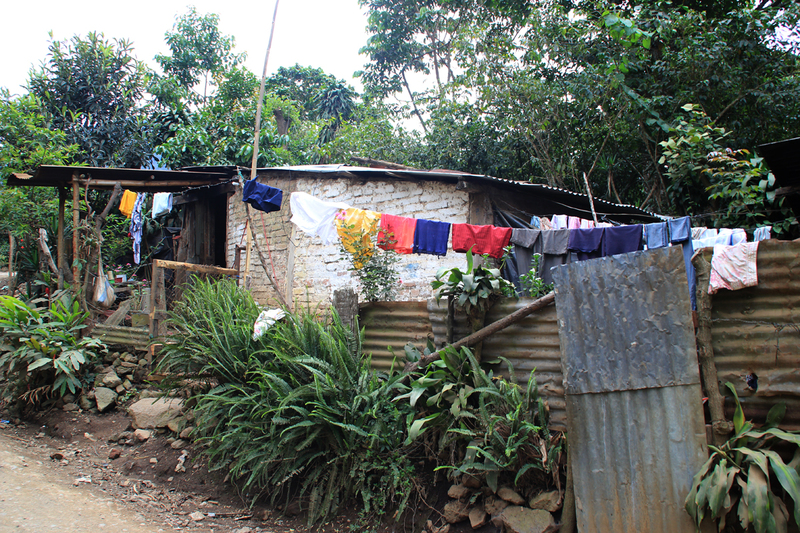 A home in El Salvador, typical of the homes Carmen and other Unbound social workers visit on a regular basis. To celebrate the U.N.-sponsored World Humanitarian Day Aug. 19, Unbound is highlighting inspiring members of our global community who’ve overcome obstacles to help others. Carmen is from El Salvador and works for Unbound as a social worker in 11 communities in Santa Ana, with more than 200 sponsored children and their families. She started with Unbound seven years ago, learning about the organization while working as a caretaker for a sponsored elderly woman. Carmen and her husband have a 16-year-old daughter. In this interview, conducted by Naresli Calitto, former communications liaison, Carmen shares about her experience working for Unbound amidst the challenges of life in El Salvador. Her name was changed for safety reasons. 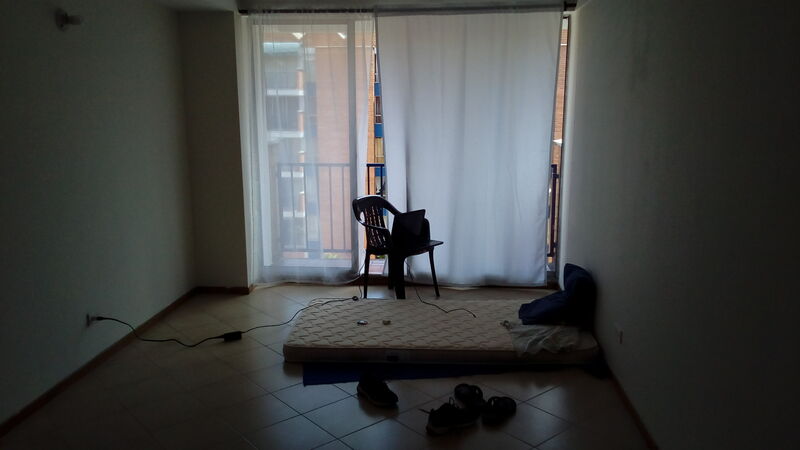 A room in Henry’s apartment in Medellin on one of his first nights there. My family and I moved to Colombia, South America, from El Salvador about one year ago. We wanted to give our children a new international education experience and Unbound had an open position for a communications liaison in the country. It was a great opportunity for Unbound, my family and me. I decided to come in advance of my family to make a path, find a place to live, get life organized, etc. While moving within one’s own country isn’t easy, it still allows for the same social, economic and cultural structure. 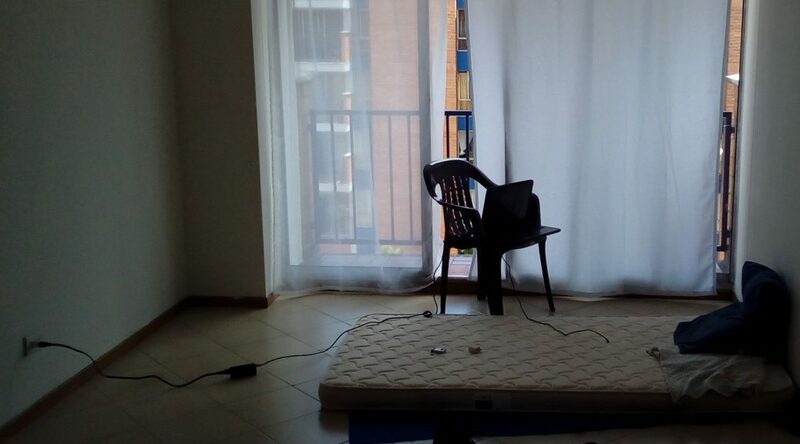 Moving to another country is a completely different scenario. 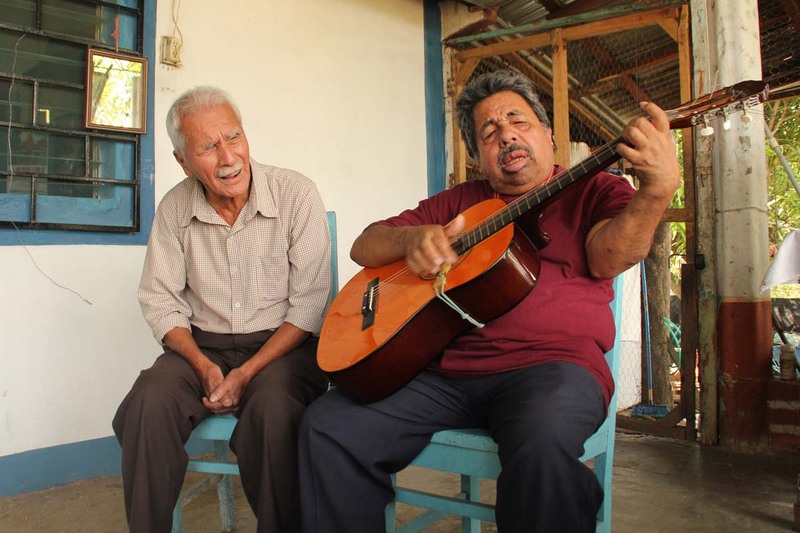 When I moved to California, U.S.A., back in 1989, I arrived in a Salvadoran community. I had my relatives, Salvadoran restaurants, food, markets and traditions that were familiar to me. I felt part of my own culture and idiosyncrasy; I had a network. Here in Colombia, I’ve only met one Salvadoran in my new city of Medellin. 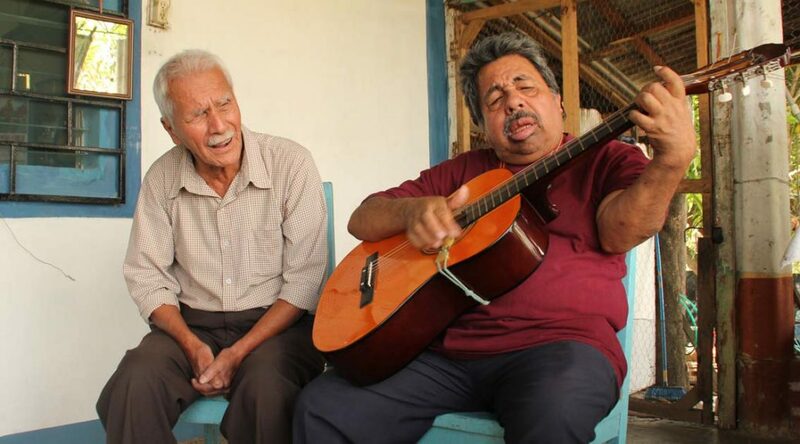 Juan (left), who has since passed away, sings while another sponsored elder, Francisco, accompanies him on the guitar. Alexander is a scholarship student in Lima, Peru. He was initially attracted to acting, but his teacher saw that he had a knack for art. Alexander chose to pursue graphic design to connect art and media, a perfect choice for today’s technological age . 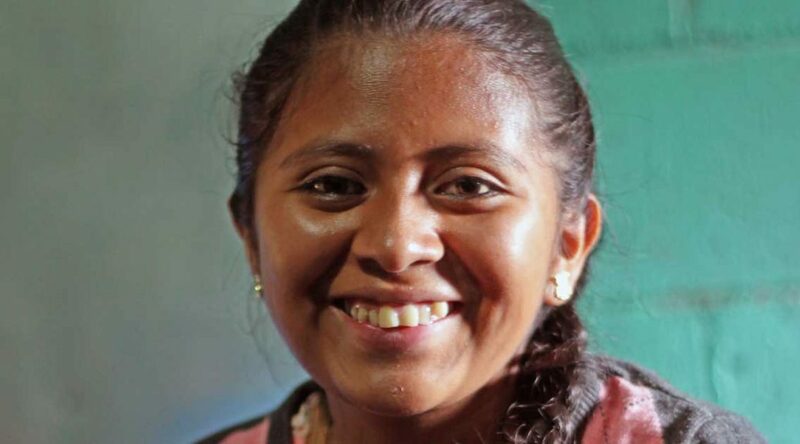 Beatriz is an Unbound scholar in Santa Ana, El Salvador. She grew up walking an hour each way to school, and now her perseverance still shows in her commitment to her studies and supporting her mother. On Nov. 29, help students achieve their goals in higher education by donating to our Education fund on #GivingTuesday. When you support education through Unbound, you’re investing in the dreams of students. Your contribution means children and young adults can continue their education into secondary schools, technical schools or even university programs. One of the ways we’ve been celebrating our 35th anniversary is by hearing from sponsored friends and staff around the world. We asked them how Unbound has changed them, what their favorite thing about being sponsored is or what greeting they have for us at this milestone. We’ve featured 35 snapshots of our global community over the past several weeks right here on the blog. Check out the final set of snapshots in the series below, and check out previous posts in the series here! One of the ways we are celebrating our 35th anniversary coming up on Nov. 20 is by hearing from sponsored friends and staff around the world. We asked them how Unbound has changed them, what their favorite thing is about being sponsored or what greeting they have for us at this milestone. We’re featuring 35 snapshots of our global community over the next several weeks leading up to Nov. 20, right here on the blog. Check out the next set of snapshots in the series, and stay tuned! 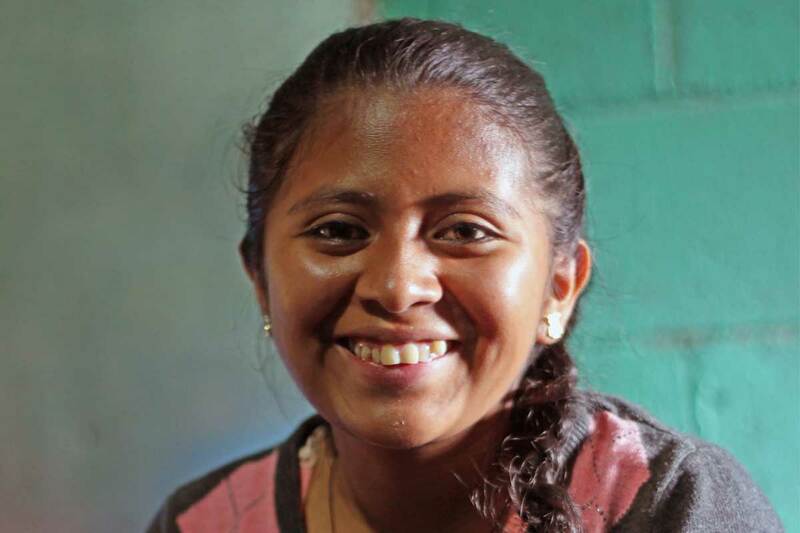 Yami is a sponsored youth in El Salvador. For some Unbound families, there are more obstacles to receiving an education than just the cost. 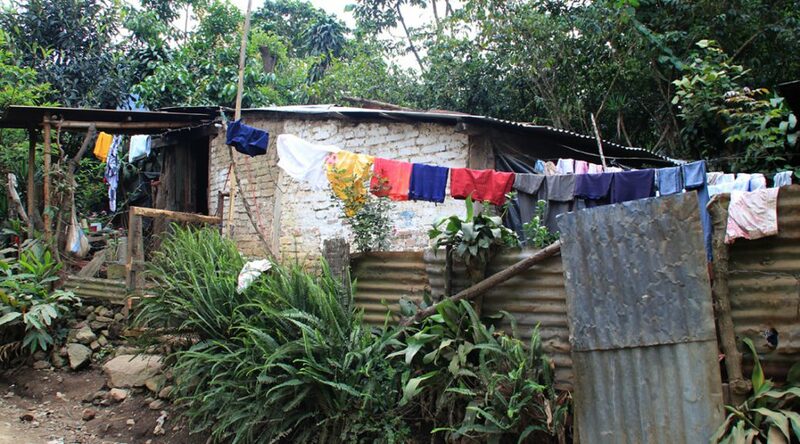 For 18-year-old Yami, it has been a struggle to complete her education because her family lives in a remote, mountainous village in El Salvador. 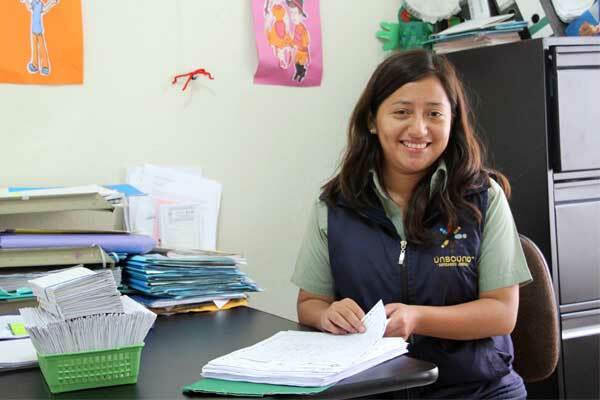 After finishing the 9th grade, Yami temporarily stopped attending school. The nearest high school is hours away, and the transportation cost and distance became too overwhelming for the family. The trek to the highway is an hour walk or a 40-minute horseback ride. It goes along a deserted path and across a river. On top of all this, it’s not safe for Yami to travel alone, so her father, Jaime, accompanies her. However, she is determined to finish school. Maria has been sponsored for five years and has a spirit of serving others — even when she’s not feeling well, she does her best to care for her community members as a midwife. 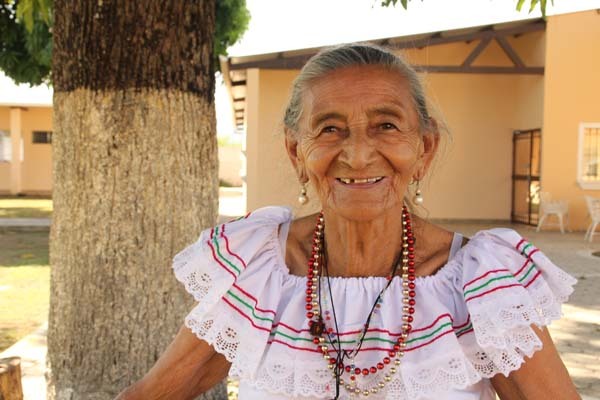 Maria is a calm and shy sponsored elder who loves to dance. 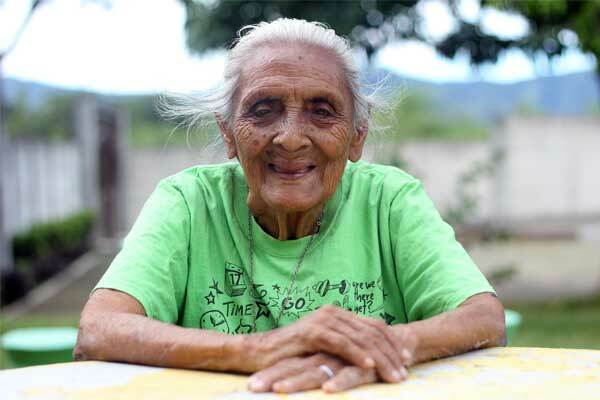 She lives in El Salvador with her husband in an adobe home — surrounded by beautiful flowers and mango and avocado trees — with a dog, cat and even a few pet parrots. At age 80, she serves her community as a midwife and caretaker — a role she’s had for decades. Maria joined the Unbound community in 2011, when she was sponsored by Gary from Missouri. The support from Unbound has been a great boost to her health and quality of life. 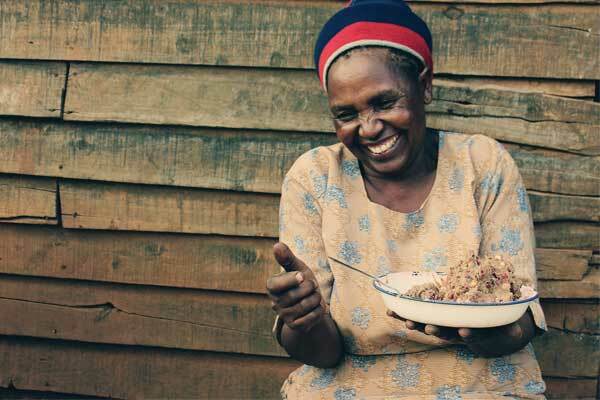 Nancy gets ready to enjoy a bowl of mukimo, a traditional Kenyan dish of mashed vegetables, which she makes for her family. Nancy’s 17-year-old son, David, is sponsored through Unbound.